A Melbourne airport train could finally be a reality... soon-ish. Everybody remain calm: Melbourne might finally get an airport rail link. 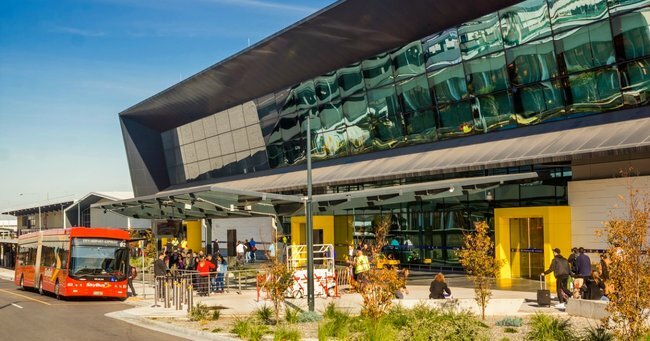 A Melbourne airport rail link could be fast-tracked as Victoria invests $10 million in planning for a private operator to build it. The money will be in Tuesday’s state budget and it will be used to find the best route for an airport rail link, how much it would cost and how best to fund and deliver it. “I’m not convinced that this is something that should be 100 per cent taxpayer funded,” Premier Daniel Andrews told reporters on Sunday. “I think there are great opportunities for partnerships with the private sector. Both Melbourne Airport and Southern Cross Station are privately operated and the government says there is “significant market interest” in building a light or heavy rail link between the two transport hubs. Transport Minister Jacinta Allan said the plan would look at ways to save money and deliver the rail link sooner through private sector involvement – including value capture and creation initiatives. Infrastructure Victoria has said the rail link would be needed some time within the next 15 to 30 years. One privately-floated option planned to put a monorail-type track along the CityLink freeway, all the way to the CBD.